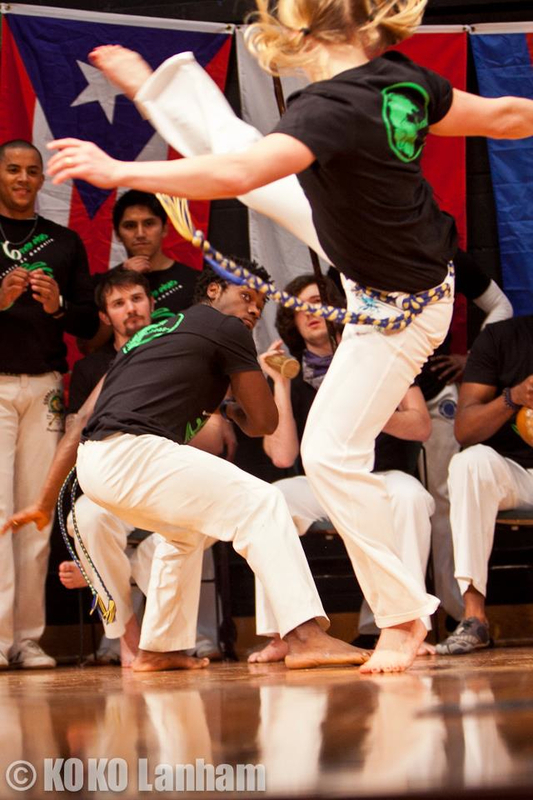 Capoeira is a Brazilian martial art that incorporates elements of fight, dance, play, acrobatics, strength, flexibility, history, endurance, music, community and friendship. ANYONE CAN DO CAPOEIRA! All ages and abilities are welcome to join us! Build your strength, coordination, and confidence by doing this fun, yet complete workout. Beyond the workout, you learn discipline, focus and make many new friends from around the globe. Contra Mestre Neguinho has over 25 years experience in this art-form and is eager to share what he has learned. His additional experience and education in Physical education makes this a fun, safe yet challenging workout for anyone. 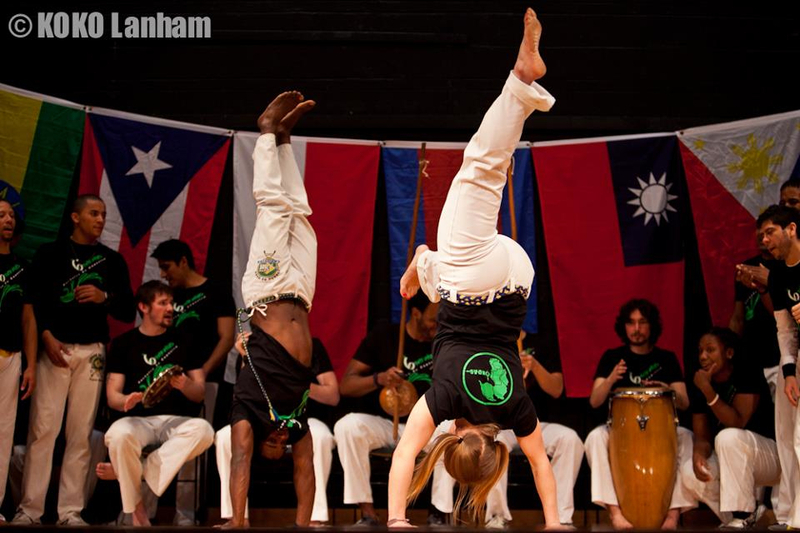 Capoeira goes beyond the workout complete with music and history so that everyone, regardless of physical ability is able to participate at some level. The only way to get in shape for capoeira is to do it. Come to a class, try something new! GRAND OPENING of our location in Gastonia, Equilibrio Movement Culture Center! Food served afterward for grand opening participants. Sundays at 2pm, please RSVP as these classes during the summer are sporadic. Raja Academy is located at 1200 Woodruff Road, Suite B8, Greenville, SC. Ethos Combatives is located at 2306 Chesnee Highway, Suite 10, Spartanburg, SC. 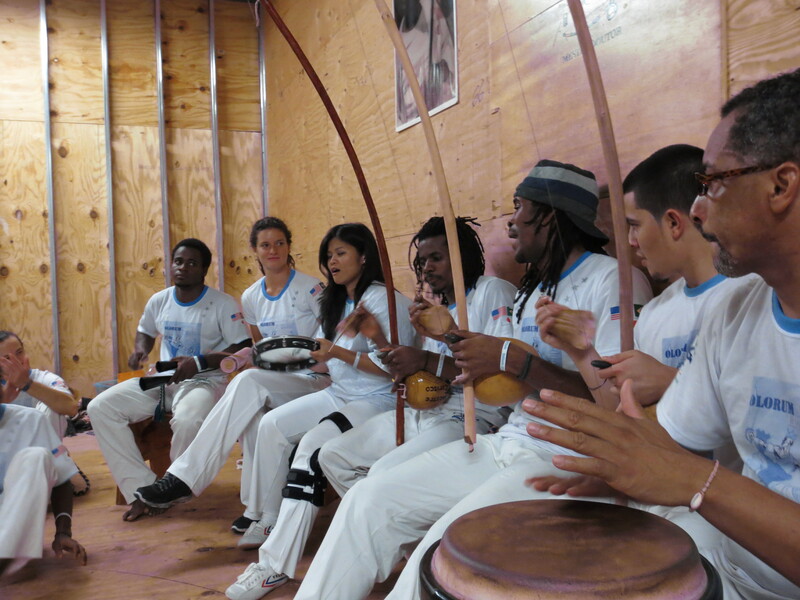 Buy a drop-in Capoeira Class with Contra Mestre Neguinho here at our store. Free trial introductory course for beginners is offered monthly! Check the Schedule for more details and don’t worry if you can’t make that class, just come to class with loose fitting clothes and water. Contra Mestre Neguinho and Capoeira Cordão de Ouro welcome you to join us!